Papa Frances is pier side at the Francis Goddard's boat yard in Piney Point, Maryland. Papa Francis still works the Chesapeake Bay and Rivers doing oyster seeding and towing. 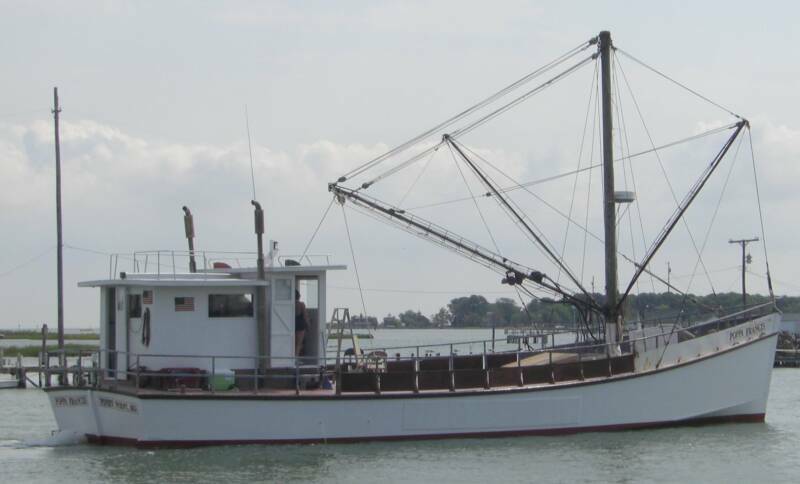 Wayne Goddard owned the Connie Francis a 1984 oyster dredging skipjack now named the Oyster Catcher and he and Francis was involved in converting her over to a charter motor vessel with a buyboat deck house on a skipjack hull.